A few years ago I was interviewed and hired by the company I now work for. I am not allowed to talk in detail about the company. Suffice it to say, though, that I work with Professional Engineers (PEs) in a major industry. Bill is the man who read my resume and sought me out for a position in the company. It was on an ice-cold Friday one day in January 2007 that I was interviewed by him. During the first minutes of the interview I learned that Bill had served in the military – 101st Airborne,U.S. Paratrooper Division – – The Screaming Eagles, in Viet Nam, 1968. I wasn’t sure why he told me his background during my interview. He certainly had a right to be proud about his service. Perhaps he wanted me to know who I was dealing with – a no-nonsense, disciplined kind of guy whose word was his bond. He was completely kind, overly polite and very desirous that I was being dealt with properly by the people interviewing me. That day I was interviewed by five other people besides Bill. Later, in the afternoon, Bill began gently pushing me to decide in favor of working there. This was a surprise to me in that I didn’t think I would walk in and get a job that quickly, especially at a company that was so professional and technical. My previous jobs were with small companies. These companies often moved slowly when choosing someone to hire, being very careful of every nickel and dime spent. I liked Bill’s demeanor, his history of service in the military and his quiet gentle way that hid his strength. I also liked the fact that Bill had worked at this company for thirty-some years. That meant something to me. I had cycled through many different jobs in the manufacturing industry due to the industry’s dependence on the up and down economy. I shook hands with Bill at 3:00 pm that day. I had agreed to work for him at this company. I intuitively knew that he could be trusted to do right by me. He was not like those in the past who had used me to just balance their books. Over the course of the last few years Bill has directed our design group meetings. He has reviewed me annually and has given me raises. He has been involved in most of the design review meetings that I have been involved in. Bill held everyone strictly accountable to the standards that our company had developed over the years. In our industry, high standards and accountability are paramount to staying in the select stream of business offered by our clients. Bill made sure that each of us adhered to those standards on each and every project. He made sure that our “deliverables” matched the high quality standards set by the company. During the first year of my work with Bill, Bill held a “Boot Camp”. He had developed a set of classes to give us an overview of the subject matter behind our daily tasks. The camp was informative and again, matching Bill’s character gently pushed each one to a better understanding of our company’s work at hand and to be better people. Recently a retirement party was held by our company for Bill. Bill decided it was time to go home and stay home. His wife has been dealing with two cancers. Bill needed to be with her on this battlefront. “Th(e) boot camp was intended to teach you technical skills, to be a team player, focus your attention to details, to understand how to use verified design inputs and to be accountable for your actions – but it was also to show you how to be Respectful with each other. As the time for me grows near for me to pick up my gear and head out, one phrase that I picked up from the years past is one that I may have used in conversation with you. The phrase is that I am being a straight arrow with you. The meaning of this phrase has had a deep and everlasting impact on me and for the person I hoped to be. Bill went on to talk about his military experience in Viet Nam with the 101st Airborne,U.S. 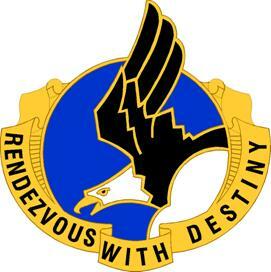 Paratrooper Division known as the Screaming Eagles. This happened in 1968. My time of knowing Bill, from my interview to his farewell party just a few weeks ago afforded me the once-in-a-lifetime opportunity to “serve” with a man who is honorable, honest, decent and trustworthy – a gentle giant of a man. My quiver is now becoming full with “Straight Arrow” choices of my own.